Interested in a Spring vintage bike swap in Chicagoland? OK, I have a venue, my backyard and garage. And a date, April 13, a week later than originally planned to improve the weather odds slightly. Let's figure 9:00-ish to whenever. I gave up trying to get people to respond or to park district venues which had more restrictions than I could deal with in a short time frame. The best forecast I can find is for temps in April to be about normal or perhaps a bit higher than normal, and for precipitation chances to be about normal. So figure on temps in the 50s and some chance of April showers (bringing May flowers, of course). I can probably find a space heater to take the chill off the garage. With the winter we are just emerging from, 50s and sprinkles sounds pretty awesome to me. I have a couple tables and several bike stands. I don't know if I can scrounge up any sort of free-standing canopy/tent by the 13th, but will try. If you can bring anything which might be useful, let me know. I will provide coffee and some donut-shaped objects to help folks wake up. I'll make sure the propane tank on the grill is full as well​ if people want to burn something for lunch​. There are plenty of places nearby to order from as well. Though it's modest in size and equipment, my little basement lair will be available for people wanting to turn ​a ​wrench. And should, mirabile dictu, the weather be totally awesome, an afternoon ride isn't entirely out of the question. You need to RSVP (email or PM is fine) so I get an idea if I'm going to hang out with three peeps or thirty. I'll respond (off-list) with my address (near downtown Evanston, IL). sounds like fun, keep us updated on this. rsvp soon. I'm 99% certain of attending. If it's ok, I'd like to post pictures of what I'll bring to sell. I think that's an excellent idea, Michael. Folks might want to post stuff they are looking for as well. I prefer you contact me by email (skip.montanaro@gmail.com). Bump for T-1 week. Current forecast calls for a high of 49 with little chance of rain. Reminder that if you think you might come, let me know. If you decide late in the week to come, you can give me a ring at 847-971-7098. My ItalVega has some Gus Salmon water slide downtube decals awaiting installation. I wrecked the first set, so would like some help with the second set. This bit is from the "Small World" folder. I started a welding class this evening at the high school. In the introductions I mentioned wanting to learn to braze so I could make a bike frame. Walking out, one of the other peeps says, "I was a bike mechanic for a long time. I worked for Ron Boi at RRB for a few years." Interesting, as I have an RRB. Anyway, the guy lives basically over my back fence and might come Saturday. He's looking for Campy bits for an RRB frame he has. Should you be debating bringing any NR/SR bits from the 70s/80s. Looking like rain in Kentucky, so I may head towards Evanston Friday night, get a room closer in, come up. I don't ride in the rain too often, but I'll sell stuff in the cold any day. I go to swaps to get rid of stuff, not make dough. 1992? Early Specialized Epic Carbon, 52cm, 2x7 105 (1055). Suntour 4700 calipers, Modolo levers/hoods, some headsets, hubs. Plenty of stuff I bought to build things and then fine-tuned out of the mix. My prices are low. I want to cover the hotel room....maybe bring some pre-boiled brats. I'm definitely hitting up Portillo's for stuff to take back to Indiana. Last edited by RobbieTunes; 04-11-19 at 05:55 PM. I'll be attending and bringing a wide range of Campagnolo Record, Super Record and Dura Ace from the 70's and 80's. I'll also bring some more ordinary and modern parts I've accumulated. 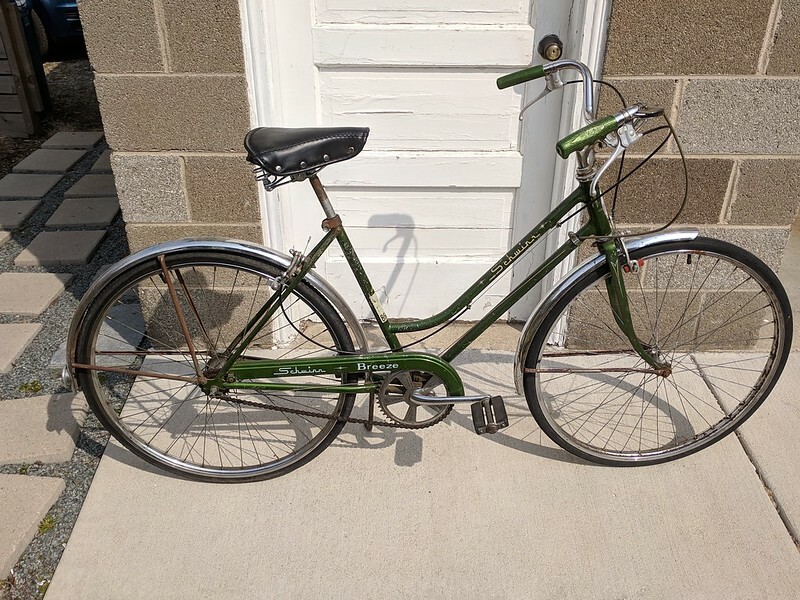 I will bring a 1972 Schwinn Paramount. 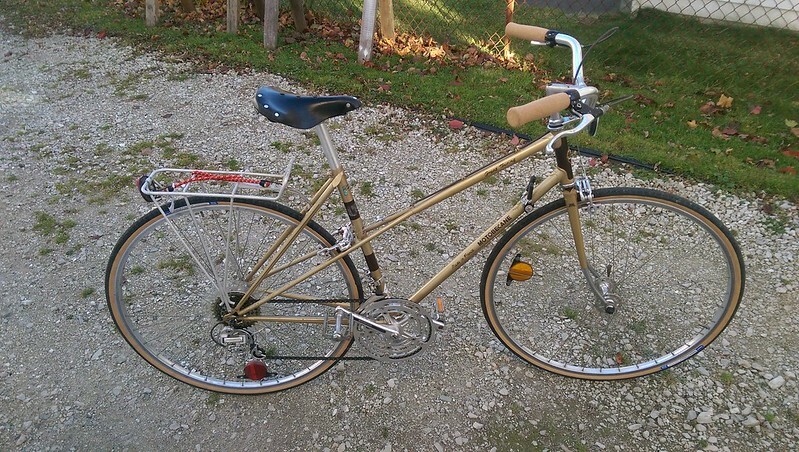 It's my "riding" Paramount and It's fully restored and ready for a century. Last edited by Barrettscv; 04-12-19 at 02:24 PM. Is anyone up for a 30 mile ride tomorrow? When I ride my bike I feel free and happy and strong. I'm liberated from the usual nonsense of day to day life. Solid, dependable, silent, my bike is my horse, my fighter jet, my island, my friend. Together we will conquer that hill and thereafter the world. 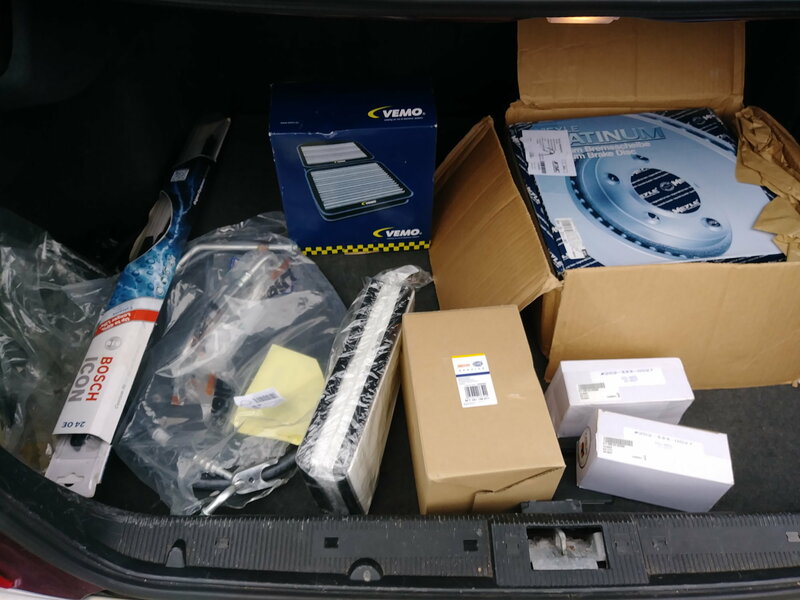 I'm driving out from Ann Arbor, with goodies and hoping to see others. 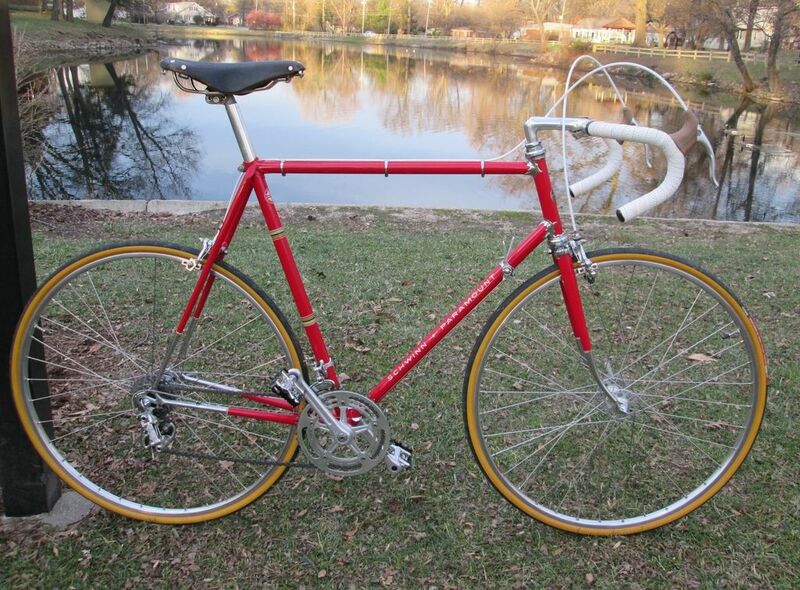 bikes: 1980 Masi (FS), Mondonico (show n tell, but let's talk if interested. Pile of tubulars, various states of health. I'll probably stay in a hotel near Old Orchard, and drive home Sunday morning. If anyone wants to recreate Saturday night, I would be very interested. I might want a ride, but not 30 miles. Y'all might have to put up with me tuning the saddle on the fly. I've also heard that Lee Katz has opened a Turin re-boot in Evanston, but not on Davis Street. I want to check it out, also any used HiFi that's around. Last edited by Road Fan; 04-12-19 at 01:41 PM. I like riding more when the temp is above 50. It looks like that's what we'll have tomorrow PM. I've done 3 rides so far this year; the longest was 12 miles. I'd be happy to ride along for half of a 30 mile ride. Of course, when words were being invented, I was observed on my bike. The committee decided 'slow' was the right word to describe my progress. I'll bring a pair of Avocet hubs, a Silca floor pump, an almost new B17 Imperial, and some odds and ends. They are open 10-6 tomorrow. What kind of hi-fi things are you looking for? Really wish I could be there - it’s right near my apartment - but I’m out of town this weekend. +1 on posting pics afterward! Let's just say it was a really nice venue, nice people, and market activity was flat. Worth the drive just to see and meet folks, put faces with names. Much thanks to @smontanaro for his hospitality and providing the venue. Last edited by RobbieTunes; 04-13-19 at 08:00 PM. If we're lucky, @iab or one of the other photo happy types took some pictures, but I'm sorry to say that I didn't. Apologies for the oversight. @samkl some stuff was left behind, so I've got more bits for The Recyclery. I met a couple other BF members for the first time @Road Fan and @76SLT and George from Skokie - not a BF peep) and reconnected with several other people @iab, @RobbieTunes, @Barrettcsv, @63rickert, @Chicago Al, and Dan Michael - who's BF handle I can never remember - we always communicate by email). Apologies if I missed anyone. @63rickert got the prize for riding the most bikes to the event. He arrived multiple times (three, I think), each time showing up on a different bike. Fortunately, he only lives a few blocks from me, so didn't need to exert himself too much. Not much elevation gain between our places. I'm not sure if @Road Fan or @RobbieTunes gets the prize for the longest distance. Robbie lives a bit farther than Ken, but Ken drove in this morning while Robbie stayed overnight in the Chicago area last night. Both traveled over 250 miles. 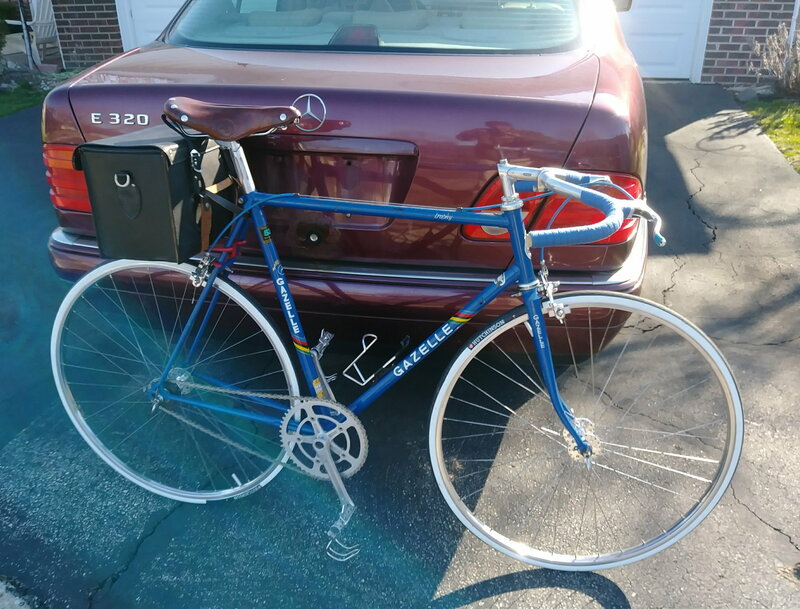 The most unusual transaction (I think) involved a bike I had (an old Schwinn Breeze) and a Specialized Epic Allez (which Robbie brought intending to sell). I had listed the Breeze on CL for $50 and got a nibble a couple days ago from someone named Maureen. I said, "I warn you, it's a beater." I told her about our little shindig and said there would be plenty of experts here to offer their opinions on the bike. Maureen shows up with her mom, Trish, in tow. I explain again about the rusty steel rims, no wet braking, weighs a ton, yadda, yadda, yadda, but Maureen is not to be deterred, so I get a wrench to adjust the saddle. That done, Maureen takes off around the block. Meanwhile, her mom has wandered into the garage and is eyeing the NFS bikes I have hanging there, particularly the Motobecane mixte we occasionally loan out to some AirBnB guests from the UK. "Sorry, Trish, none of those are for sale without Ellen's approval," (who wasn't around). So then she casts an eye on the bikes on display in the backyard and spies Robbie's pretty blue Specialized. It is the only bike which could even remotely be considered her size. Trish is like, "If Maureen's buying a bike, I should get one, too." Okay... I think I can sort of wrap my brain around that logic. (OTOH, we needed more buyers like Trish.) Robbie's like, "I am *not* taking this bike home. Let's make a deal." They chat about the Epic. Meanwhile Maureen returns, and I show her my Schwinn Speedster with the 650A rims and plush Col de la Vie tires. I opine that Wilmette Bike Shop (they live in Wilmette) can probably do a similar swap for her. We return to where Robbie and Trish are talking. Robbie has sold her his Specialized for something like $40 (!!! ), so I can't be a jerk and sell my Breeze to Maureen for $50, and let it go for $25. Maybe the Hi-E hubs were compensation for the price drop on the Schwinn. Oh, and @RobbieTunes, am I now obligated to buy a bike to match that pink and white jersey you left hanging in the garage??? Last edited by smontanaro; 04-13-19 at 05:14 PM. May I suggest a Miami Vice Ironman?